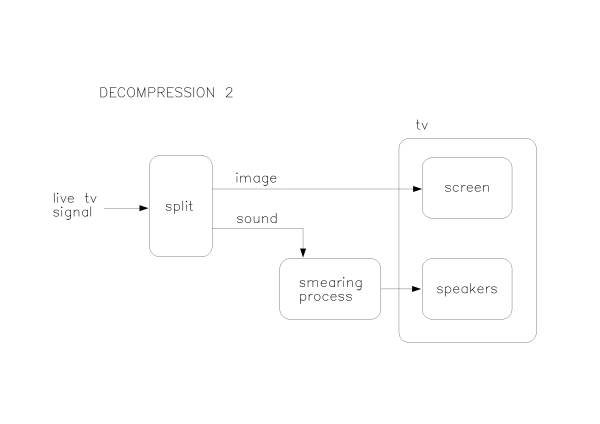 This work followed on from Decompression, applying the same audio processing algorithm to a live tv signal. The signal was split and the video component was fed straight to a small monitor. The audio was processed by a computer running custom software and then output to a pair of speakers sitting on top of the monitor. Decompression 2 was produced for The Captains Road, an exhibition about television held in a suburban house. The show was reviewed in the Irish Times.